It was announced yesterday that local KPOV DJ Charley Engel has been nominated for DJ of the Year by the Academy of Western Artists. KPOV, which is heard on the radio waves at 88.9, was also nominated for the station of the year. Better known as "Chuckaroo the Buckaroo," Engel has been on the non-profit radio station since its inception in 2005. 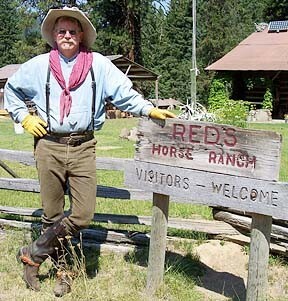 His show, "Calling All Cowboys" can be heard on wednesdays from 6-8 p.m., saturdays from 4-6 p.m. and also at kpov.org. He said in an interview, “It’s nice to know that my peers in the world of western music and cowboy poetry appreciate the effort that goes into Calling All Cowboys each week. Well good luck Mr. Engel and KPOV at the Will Rogers Cowboy Awards banquet in February. We hope you come home with some much-deserved hardware. In the meantime, keep lassoing those listeners with your western spark.